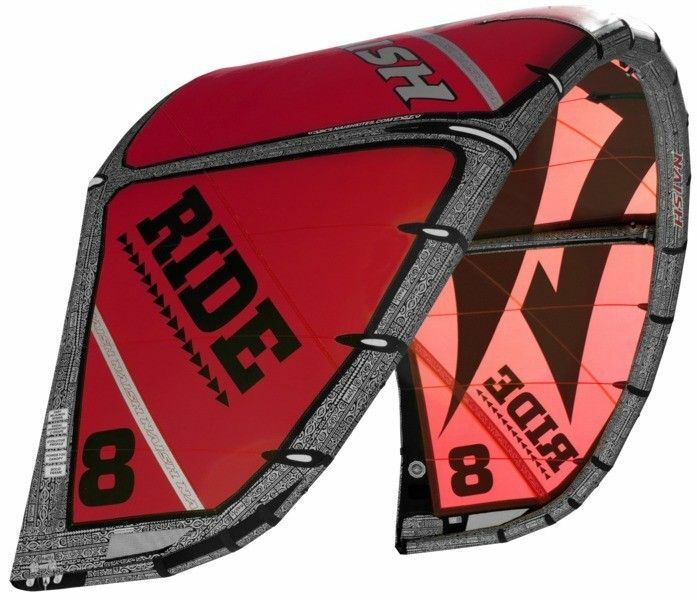 The Ride is for everyday kiteboarders looking for ease and simplicity. The lightweight, two-strut design provides superior low end performance due to its fuller center section, as well as faster inflation and smaller packing for easy transport. The Ride has rounded wing tips, which allow the kite to rotate with less drag while resting on the water. This makes for extremely easy water relaunching characteristics. It also has a slightly flatter arc compared to other kites, which gives it more punch when sheeting in and provides that nice sheet-in and go feel and easy jumping.